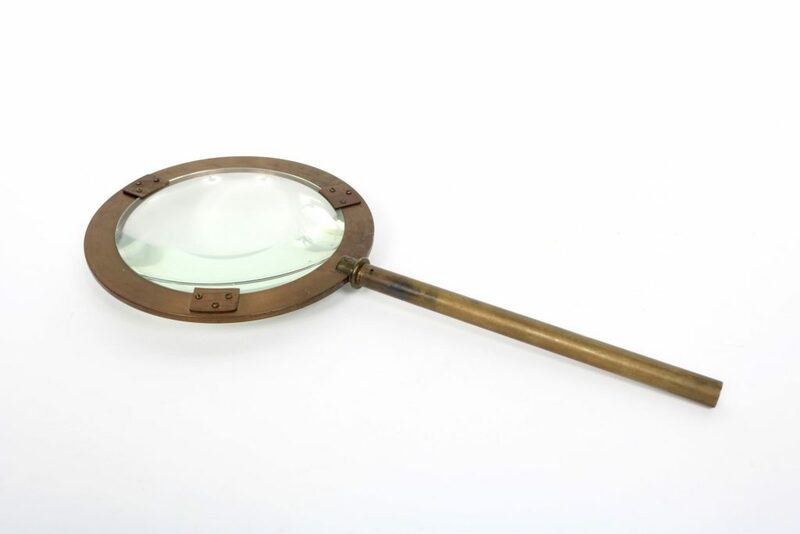 This object is a large circular lens that is convex on one side and flat on the other, set into a circular metal rim. On the flat side, metal brackets hold the lens into the rim. 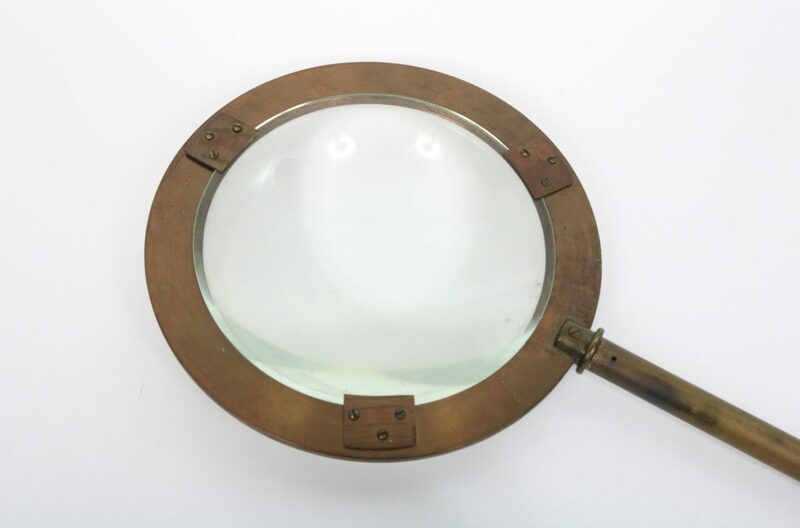 A metal tube support is attached to the rim to allow the lens to be set upright onto a base. 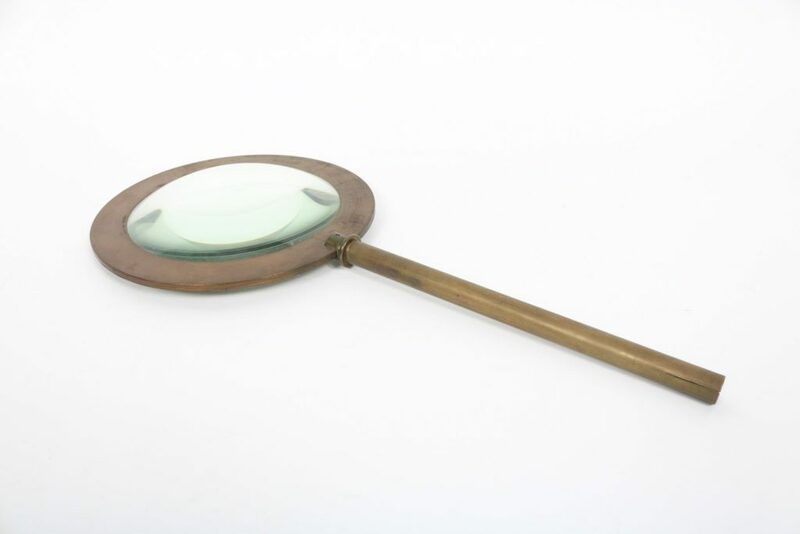 This lens was likely used for optical demonstrations. Excellent: The lens is dusty and dirty in places, but in perfect condition. The surface of the metal is stained and discoloured in places, but in good condition. It is unclear if this object was used at the Department of Astronomy and Astrophysics for teaching, or at the Dunlap Observatory. If the latter, this object was likely moved from the David Dunlap Observatory in Richmond Hill in 2008, upon the sale of the observatory. It was stored at the Department of Astronomy and Astrophysics until 2017, when it was moved to a new storage location in McLennan Physical Laboratories.